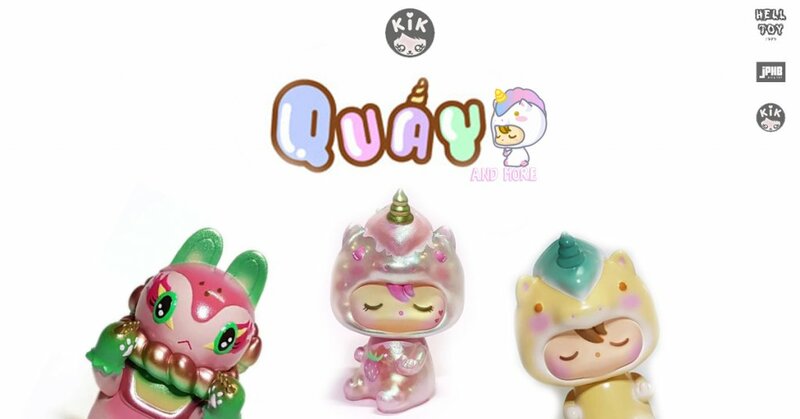 Kik St of KiK Toyz “Quay” is arguably one of the most wanted since its debut last year. Collectors heading to Beijing Sofubi Festival 2018 – Summer Fruit Party next weekend will have the opportunity to own this limited editon Quay and also this custom Teresa Chiba “INU-HARIGON” all customised to Kik’s signature colour palate. Below is a tease of what to expect at BSF 2018. Baby Quay is not satisfied with what mother gave him to wear. No matter what unicorn costume colours she gave him, he still pissed off because he wants to wear Dinosaur, not Unicorn! No word on how many will be released all we know for now is BSF will 100% have them. Best thing is, the APP is FREE. Follow Kik Toyz at Instagram, Facebook and www.etsy.com/shop/kkkiiikkk.